This hasn’t been a year for reading for me; partly a matter of time, but also because I have been struggling for months(!) with a novel I was determined to finish before starting something else. I failed! I’m still reading the novel: “The Cider House Rules” by John Irving, but have also started some short stories by Lydia Davis, along with some other short fiction. This is a collection of short stories, published by Word Machine Press, from new writers who developed them as part of their MA course in Professional Writing. These stories were immediately singled out for publishing. Fancy a good chilling read by the warm fireplace this winter? You will feel your spine tingling, shivers on your goosebumps, your hair standing on end! 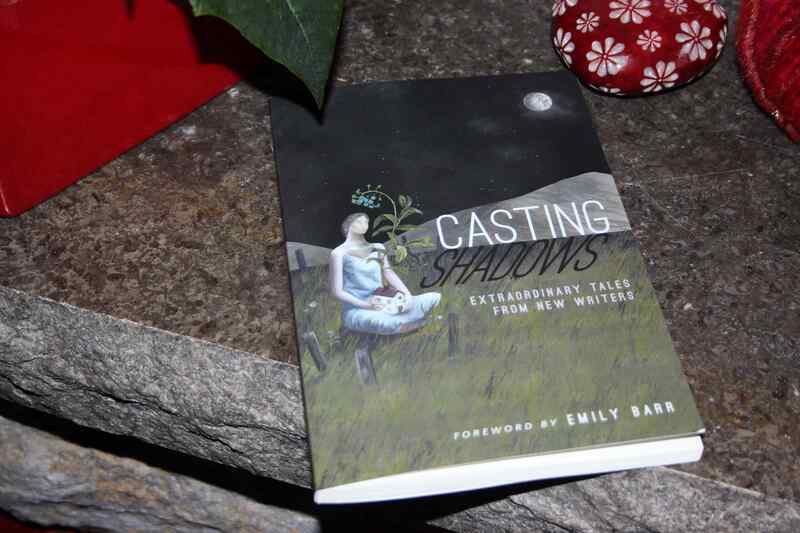 Each of the eight ghost stories will draw you in making you feel as if you are really there. You can’t put this book down in the middle of a story. However, each is just a few pages long, and if time is short you could fit one in over lunch. You’ll be hooked though, and impatient to read the next! I found these writers all succeeded in making their stories very vivid, and very real… I am reminded of Roald Dahl’s “Tales of the Unexpected”, with a twist at the end – at times almost expected but not always. An extra point – the illustrations are also remarkable. which was the first blog I ever followed, two years ago. Since then I have taken much pleasure in her moving tales and prose, and her delicious natural recipes. There is something magical about the way she writes, and her photographs are also always a delight. I hope you will drop by her blog, or even better – buy the book! Of course, “A Christmas Carol” is in there, which I re-read at least partly every December. But you will also find all the Christmas Books as well as many other Christmas themed tales. There are several very short stories, and a few slightly longer. Perfect for selecting some reading for half an hour or a whole afternoon. Another attraction of this book is its binding and cover. If you are going to look at a book again and again, it has to be a hardback, and my Christmas Carol paperback was beginning to look a bit scruffy. This version is well bound and the cover is very seasonal. A classic. So, what have you been reading recently? Any tips? This entry was posted in Books, Words and tagged Book Reviews, Books, Christmas, Winter, Words. Bookmark the permalink. I have just read a few of Charles Dickens short stories, including “The Pickwick Papers”. I love these stories that aren’t well known. They are a fun read, and it’s nice to find these treasures by well-known authors! I agree, although I am rather picky when it comes to classics… I think our school syllabus spoiled some authors for me for life! Thanks for dropping by! Interesting to hear you didn’t get through the Irving book too! And yet I have so enjoyed many of his others. My book shelf still has lots to offer, since I didn’t get much reading done this year, but I will definitely consider those you mention in the future. I have already read The Book Thief and enjoyed it immensely. I then read his “I am the Messenger” which was different, but I liked it! I do value personal recommendations. Thanks Susie, and have a great weekend! Funny you should mention Dickens. I just started reading ‘Nicholas Nickelby’, and I’m really enjoying it. What Dickens has to say still seems to be very much on point for the hard hearted era we are living in. That’s another I haven’t got round to reading. 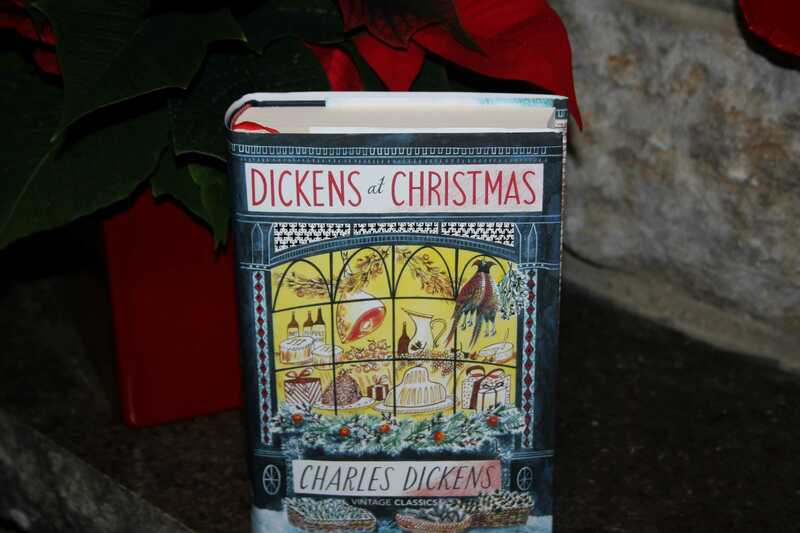 You’re right – Dickens would not be out of place as a social commentator in our time. Some problems in the world seem to recur through the ages…. Lovely selection of books for this time of year. Very timely for me as I’ve just finished a novel by Esther Freud, one of my current favourite novelists and needed some nudging towards other good books. It’s terrible when you’re in the middle of a great book isn’t it, you race to the end and then feel sad that it’s over. Must revisit Dickens. I know how you feel – if I don’t have a book on the go I get jittery too! I don’t know Esther Freud, but I have a good one lined up for the holidays recommended by my niece: “Gone Girl” by Gillian Flynn. Thanks for visiting Andrea! What a wonderful friend and fellow blogger to pass this information on for the long winter nights ahead. We get our first snow storm from today till Sunday maybe 12 inches It tis that season once again. Can’t offer any reading suggestions this time (sadly), but just wanted to say that the new header is stunning! It’s always good to get some book recommendations – thank you! I seem to be reading nothing but cookbooks at the moment, so I’ll have to make an effort and maybe try one of your suggestions. There’s nothing like a good read, and I feel much calmer if I have a good book to fall back on, but this autumn I’ve also started a knitting project (new for me!) so that has taken up most of my spare time! I have to confess that I didn’t get on with Cider House Rules, in fact I doubt I finished it at all! I am currently reading some easy fantasy books of the sword and sorcery variety but have a Margaret Atwood lined up for over Christmas. I liek the sound of your short stories. I am reassured I am not the only one with the Cider House! Margaret Atwood is always good – hope you enjoy it! I loved The Book Thief too. I’m going to try and finish that Irving novel before the year is out! Happy reading Debra! This sounds like a great couple of books. I always read a couple of mysteries at Christmas. Anne Perry always has a small holiday mystery based on one of her characters. This year it was A Christmas Hope. Then I read the Kate Kingsbury Christmas edition of her Pennyfoot Hotel series. This is the last one she is writing called Mulled Murder. I don’t often go for mystery-style books, but there are so many good ones out there. Maybe next year! I promised myself no more movie remakes of such a great tale. We just watched the Hobbit and I have no words to describe how a charming, lively and quietly dignified story became so disturbingly unseemly. I know exactly what you mean. I saw the first part of Lord of the Rings (years ago now) and haven’t been to a cinema since! ….